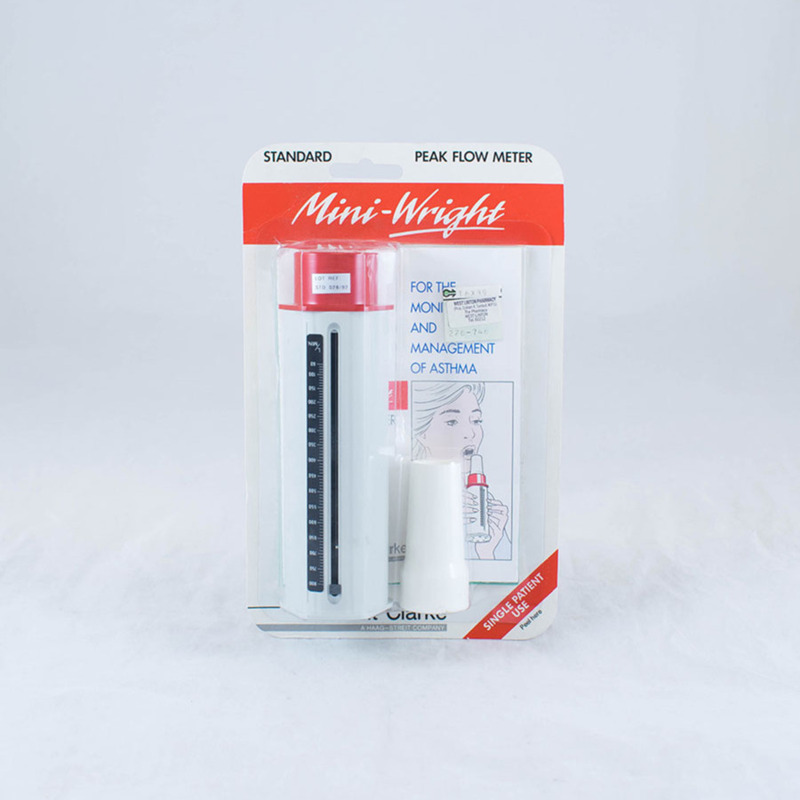 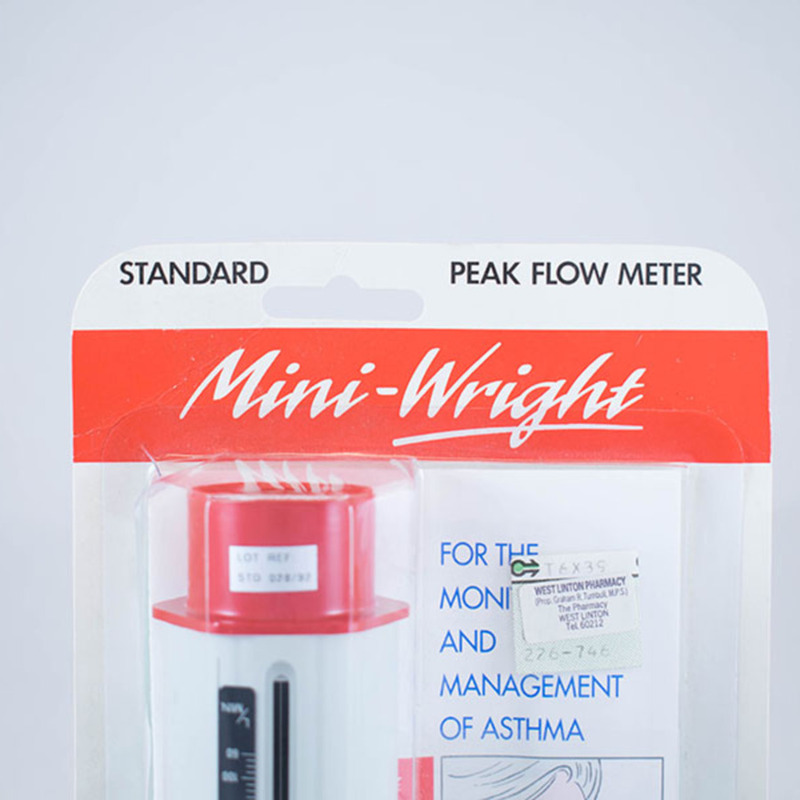 Mini-Wright peak flow meter in original packaging with mouthpiece, plastic wallet and instruction leaflets. 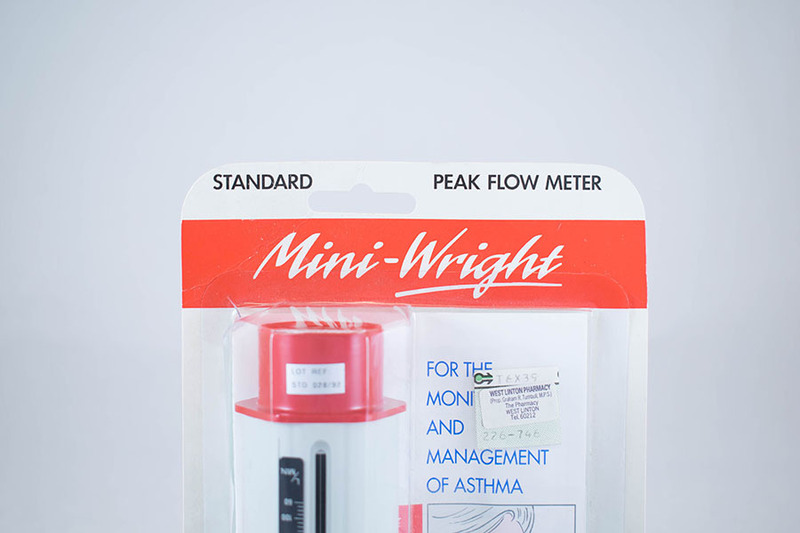 Clement Clarke International Ltd.; 1917-; Pharmaceutical company, “Peak flow meter,” Heritage, accessed April 20, 2019, https://heritage.rcpsg.ac.uk/items/show/982. 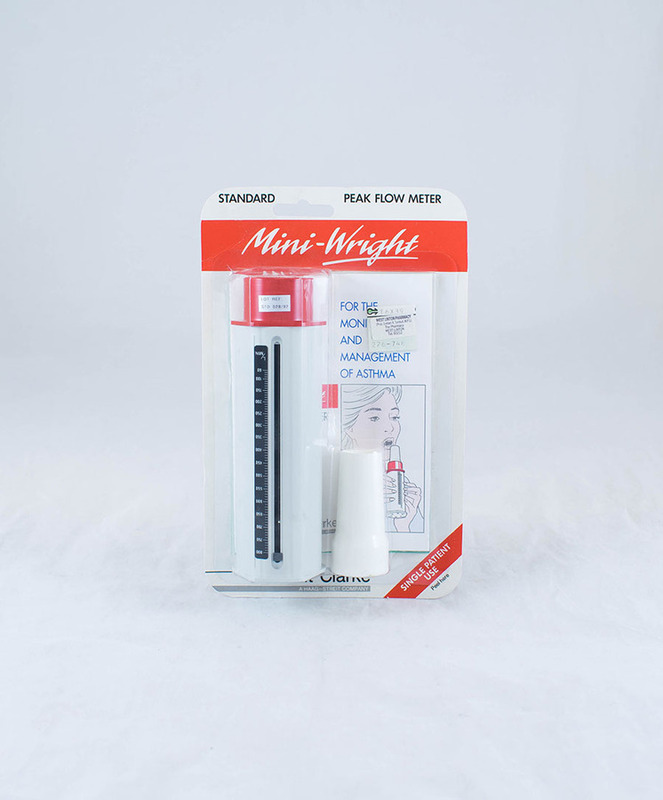 Description: Mini-Wright peak flow meter in original packaging with mouthpiece, plastic wallet and instruction leaflets.